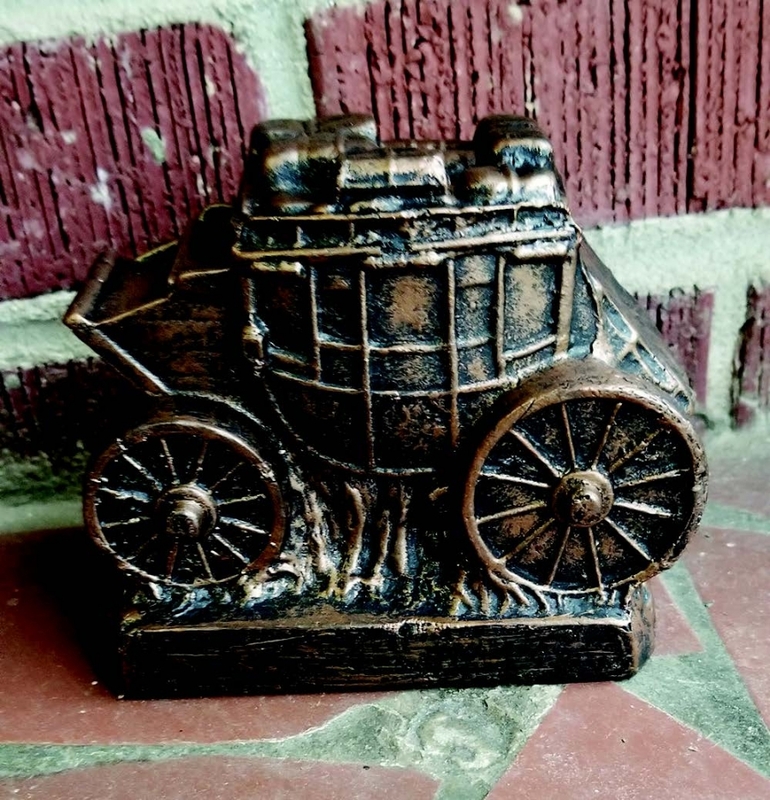 Come along with us…find one of the stagecoaches placed around Fountain Inn! Have you ever won­dered why stagecoach­es were important to Fountain Inn? And when did it all begin? Stagecoach lines start­ed in South Carolina in the 1750s. The stage­coach routes provided the first transportation system for the British colonies. Roads were rocky, bridges were often broken, and so transportation by stage­coach was often slow and uncomfortable. Along the routes, inns were built to pro­vide food and lodging for travelers and care for the horses. Histo­ry tells us that stage­coach routes made their way through what is now Fountain Inn soon after the end of the Revolutionary War and followed old Cher­okee trading paths. In those days, a trip from Columbia to Greenville took two days. 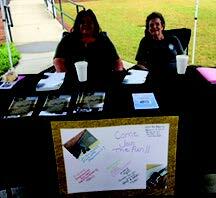 Along the way, stagecoach drivers stopped in Fountain Inn for a refreshing respite. Located on what is now the corner of Highway 14 and Howard Drive, there was a spring that was said to bubble up out of the ground sev­eral feet high. This be­came a regular stop for the stagecoach drivers and their passengers. In the 1820s, an inn was built near the spring. Stagecoach drivers referred to the new inn as Fountain Inn. The name stuck and the community that grew up on the stage­coach route was char­tered by that name on December 24, 1886. Fountain Inn is the only town by that name in the United States and possibly in the world. Fast forward to July 2017 when a ques­tion was asked on the Fountain Inn Residents Facebook page about a small bronze stage­coach located near a building on Main Street in Fountain Inn. And thus, discussions began with several people trying to dis­cover why this stage­coach was mounted there. 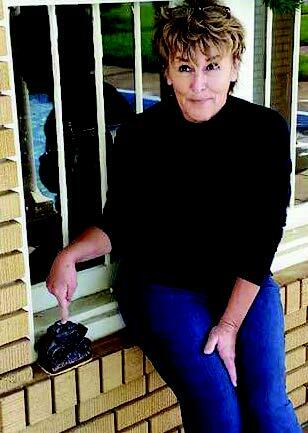 Harriett Dease and Deanna Ritchie were leading this inqui­ry. Randall Frye at the Fountain Inn Museum shared a mold that was used to make this stage­coach, along with a one page guide for finding this one and others. Several years ago, former Girl Scout, Eli­za Diamond, had de­veloped her idea for her Silver Award in Scouting. She had eight small stage­coaches made and placed throughout Main Street. She developed a guide for finding them. However by 2018, all but three of the stagecoaches had disappeared! 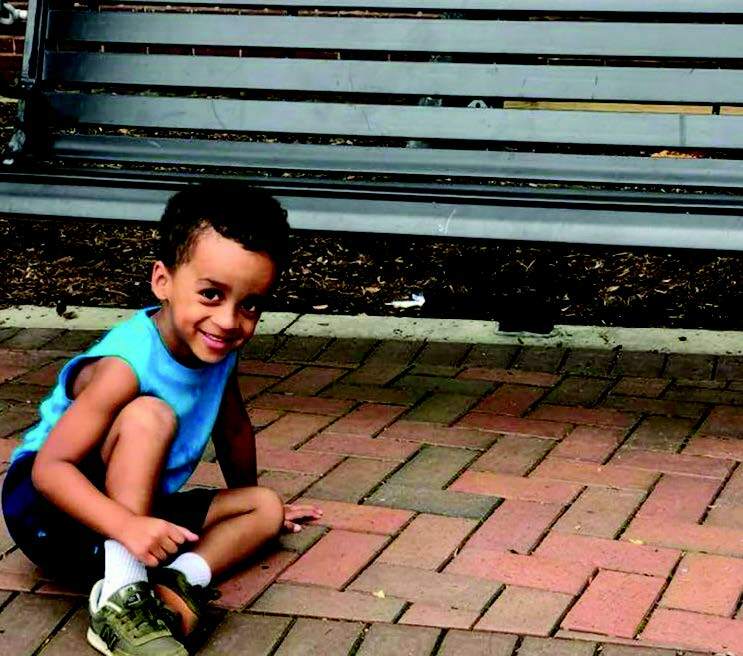 Local resident Harriett Dease contacted Doug Young, a sculptor in Taylors, who is well known for his Shoeless Joe Jack­son sculpture in downtown Green­ville. He was able to locate a foundry in North Carolina and eleven new stage­coaches resulted! The City of Fountain Inn paid for these to be poured and molded. In February 2018, Randall Frye, Peggy Nickson, Dennis and Harriett Dease met at the Fountain Inn Mu­seum to discuss a path forward to revive the hunt for the stagecoach­es. It was decided that a creative way to set up the guide would be to use historical facts as clues to finding each stagecoach. Peggy Nickson researched the historical informa­tion and wrote a guide that was later typed/ created by Whitney Ferguson at the Cham­ber of Commerce. Yet another Facebook discussion resulted with Bill Kennedy and the Blue Line Team at Keller Williams Real­ty volunteering to pay for the initial printing of 500 guides. What a wonderful offer! Shawn Bell, Fountain Inn City Administrator and his office contacted the SCDOT about up­grading the crosswalk between the Younts Center and Quillen Street to make it safer to cross Main Street at that point while searching for the stagecoaches. Dennis Dease mount­ed the stagecoaches at the various locations around town. While putting these stage­coaches in place, it was discovered that one of the original three had been stolen! So, as you will see on the printed guides, there are only eleven stagecoach­es, instead of twelve. On Saturday, May 26, 2018, the first guides were given out to approximate­ly 300 shoppers at the Fountain Inn Farmers Market. Some even took time to find the stagecoaches that day! If you have ever done the Mice on Main Search in downtown Greenville, you will certainly want to en­joy the newest search – right here in Foun­tain Inn! 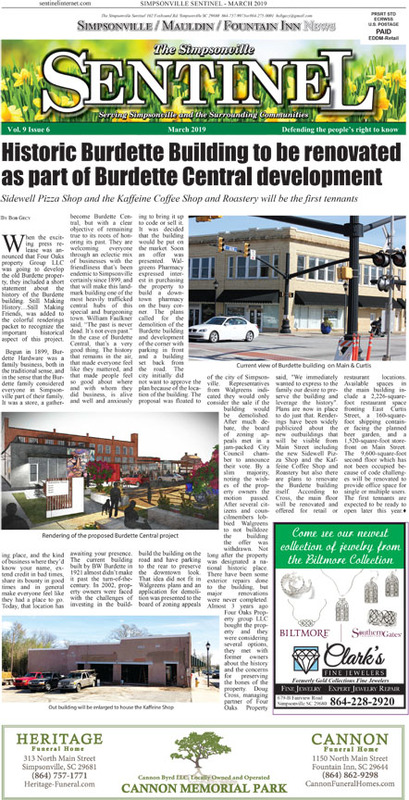 Clue guides can be picked up at The Fountain Inn Mu­seum, Chamber of Commerce, 102 Depot Street and at several businesses. A large metal sign designed by Mr. & Mrs. Matt Wasc­hkowski and Whit­ney Ferguson will be mounted outside of the Chamber/Museum with the clue guide di­rections printed on it. Participants wanting to look for the stage­coaches when the fa­cilities are closed can take a picture with their phone and participate in a fun search morning, afternoon or evening. As you can see this project is not just the work of any one per­son. Many people have been a part of creating and then reintroducing the idea of a young Girl Scout. Thanks to all who spent time work­ing on this project! We hope you will bring your children, family and friends to search for the stage­coaches of the INN. Then, be sure to post your pictures on our Facebook page! Let’s all enjoy learning about the history of our town.